rate for the year ending June 30, 2016 on second and final reading. 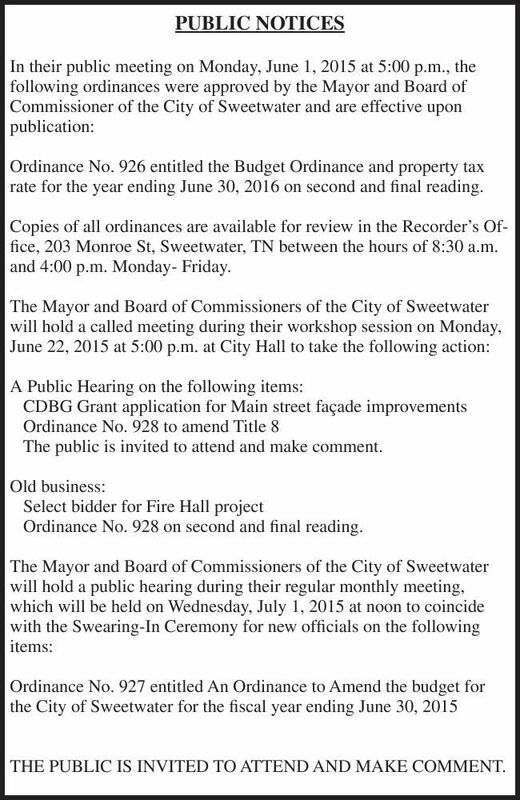 Copies of all ordinances are available for review in the Recorder’s Office, 203 Monroe St, Sweetwater, TN between the hours of 8:30 a.m.
and 4:00 p.m. Monday- Friday. The public is invited to attend and make comment. Ordinance No. 928 on second and final reading.